14. 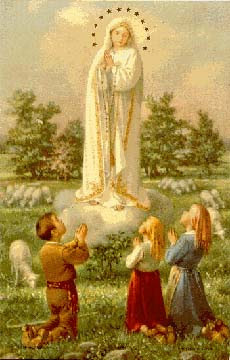 All who recite the rosary are my sons, and bothers of my only son Jesus Christ. Today, there are popular satanic songs, games, street gangs, and an increase in satanic worship. In spite of the prevalent influence, many people do not take this seriously, and they laugh off the notion of the power of evil as actually being a part of the real world. Seminarian Josh Johnson and Fr. Basil believe that demonic influence is real. The evil one can tempt us but cannot touch us unless we open the door. He uses addiction, depression, pain, sickness, anger and unforgiveness, but God has the ultimate power and wants to set us free. This is also the close of the jubilee year dedicated to St. Paul. O glorious Sts. 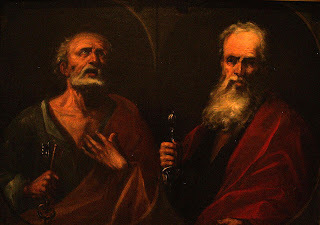 Peter and Paul, filled with compassion for those who invoke you, with love for those who suffer, heavily laden with the weight of my troubles, I kneel at your feet and humbly beg you to take my present need under your special protection...(mention here). As disciples of Christ and the first pastors of the early Church you both knew disappointment and suffering. Lead me out of my troubles as you have so many to Christ our Lord. Cease not to intercede for me until my request is granted. Above all, obtain for me the grace to one day meet God Face to face, and with you and Mary and all the angels and saints praise Him through all eternity. O most powerful Sts. Peter and Paul, do not let me lose my soul, but obtain for me the grace of winning my way to heaven.